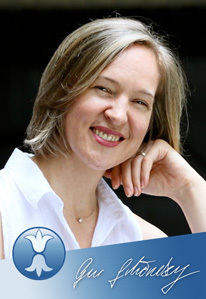 Gur Schöneberg is a trainer and psychologist, an expert in developing emotional and spiritual intelligence. Her core quality is to open doors to a new understanding and new insights. She engages in the basic questions in life: Who am I? Why am I? Where do I want to go and how do I get there? Gur is very experienced in her field of expertise. Her own life experience and her conscious processing and coping with diverse crises have helped her to be a deep-rooted and compassionate guide and teacher, who focuses on the lasting development of potential in others. Following her longing for growth and seeking new challenges, eight years ago she left her practice and training center in Germany to move to Shanghai, China. Here, she coaches executives from all around the world to access their full potential and be who they really are. Executive coach/ management trainer/ life coach, 9 years • Licensed Psychologist (hypnotherapy, talk therapy, art therapy) MSc(Psy) & BSc(Psy), 7 years • BSc(Business Mngmt & Eng), 12 years • Leadership role in Industry, 3 years • Spiritual Guidance, 10 years • Consultant for Systemic Constellations (organizations and families), 11 years • Life and work experience abroad, 9 years • University lecturer, 1 year • Member of the BDP (The Association of German Professional Psychologists) • Co-founder and board member of S-IMHA.com • Owner of C.A.Y. Consulting (Shanghai) Co., Ltd.
Gur Schöneberg lives in Shanghai/China.